A cherry on top isn’t just for sundaes: we’re using the fruit to dress savory pork chops in this recipe. 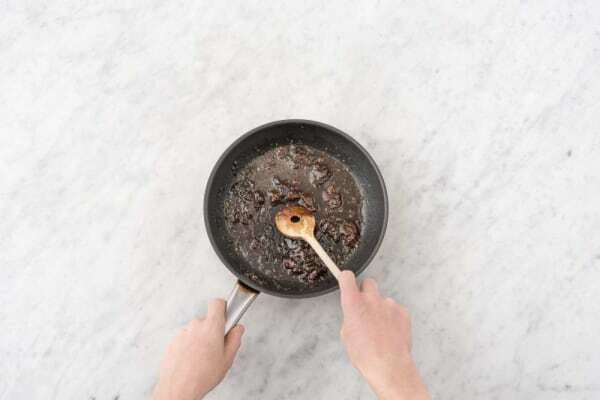 You’ll be making a pan sauce that features both dried cherries and cherry jam for double the fruity fun. 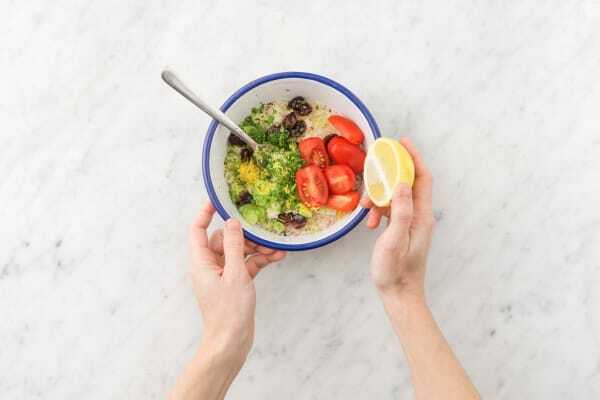 Make sure to get a little of it on the couscous salad—that sweetness is the perfect complement to the tartness of the lemons and tomatoes. Wash and dry all produce. 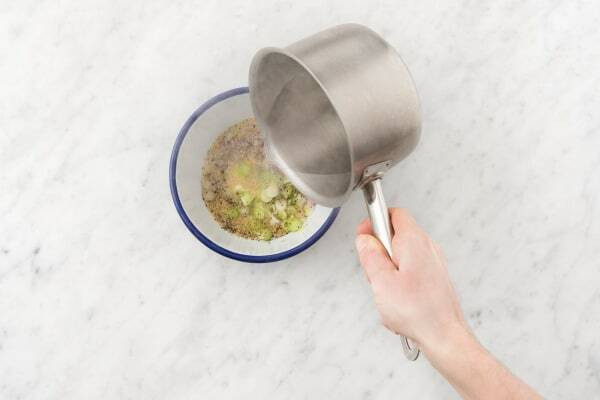 Bring 2 cups water to boil in a small pot. Halve, peel, and dice shallot. Zest and halve lemon. Halve grape tomatoes. Trim and thinly slice scallions, keeping greens and whites separate. Finely chop parsley. 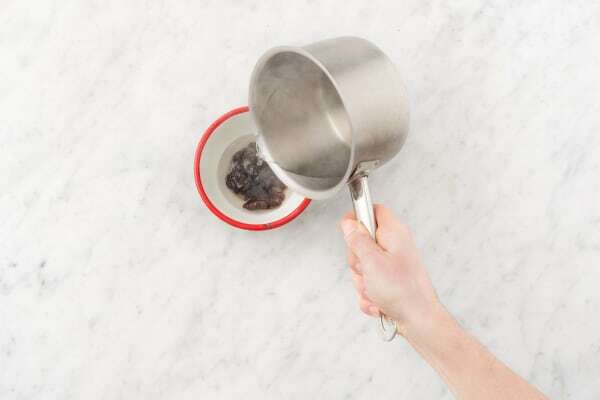 Place dried cherries in a small bowl. Pour over just enough boiling water to cover cherries (you’ll need to save 1 cup for later). Set aside. Put couscous in a medium bowl. Stir in scallion whites, half the diced shallot, and a pinch of salt and pepper. Pour in 1 cup boiling water and cover. Set aside. Heat a drizzle of oil in a large pan over high heat. 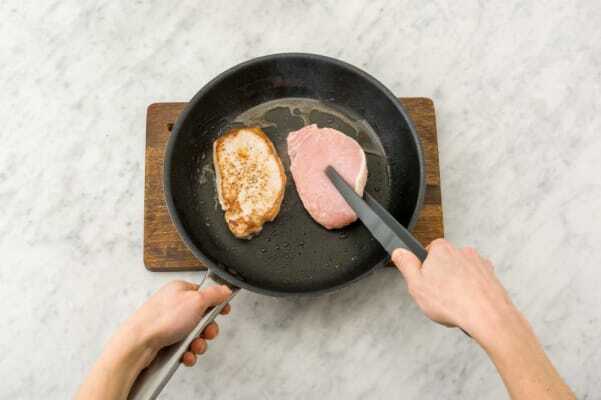 Pat pork chops dry with a paper towel. Season all over with salt and pepper. Add to pan and cook to desired doneness, 3-6 minutes per side. Remove and let rest 5 minutes. Add remaining diced shallot to pan and cook until softened, about 1 minute. Stir in stock concentrate, jam, and half of the cherries and their steeping water. Bring to a simmer and let bubble until reduced by half (TIP: the sauce is ready when it sticks to a spoon). Season with salt and pepper. Fluff couscous with a fork. 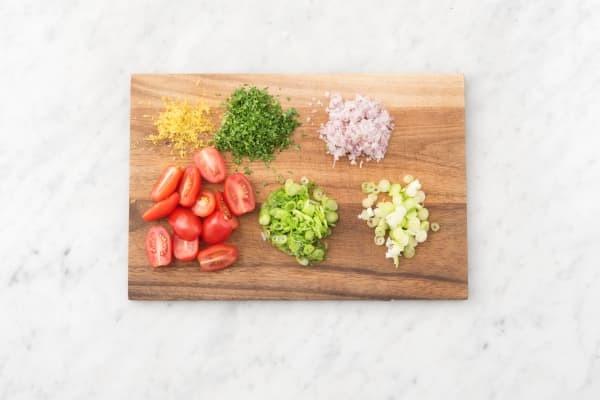 Toss with grape tomatoes, scallion greens, lemon zest, remaining cherries, and juice of half a lemon. Season with salt, pepper, and lemon juice (to taste). 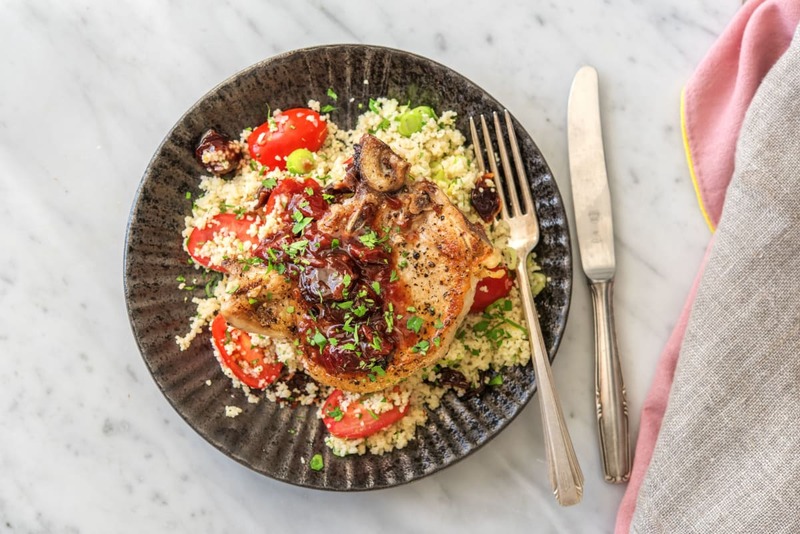 Divide couscous between plates and top with pork chops. Drizzle with pan sauce and garnish with parsley.